Announcing!! #LSS18 at the Hilton Portland Downtown. 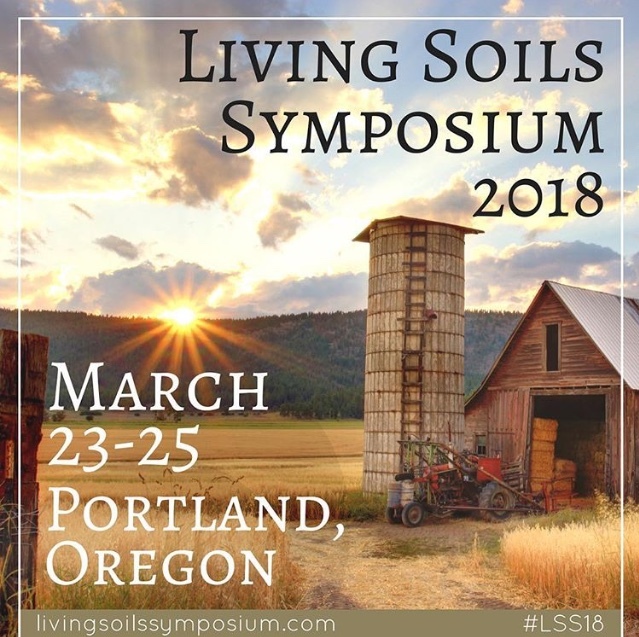 While we are still building out our speaker lineup, you can be assured that we’re working with the best and the brightest in the living soils space. From produce farming to seed breeding, cannabis cultivation to holistic grazing, permaculture to soil agronomy… the list goes on! Be sure to sign up for our email newsletter to stay up to date with our announcements. Tickets include lunch and coffee available throughout the day. Mid-afternoon snacks will also be available for a pick-me-up! You’ll want to stock up on notebook paper or bring a fully charged laptop to take notes! Wifi, unfortunately, will not be available to the attendees. We encourage everyone to bring cameras, recorders, and any way to turn your experience into content to share with the community!